Well the best time of year for Jersey diving is officially NOW! Today we headed out on the Independence to check out some numbers near the Mud Hole that Capt Dan got from some fisherman. These trips are exciting as you never know what you are going to find on the other end of the anchor line. It was quite overcast (to say the least) heading out and a little choppy but manageable. On site we motored around and before long marked a sizable piece of wreckage in 120 fsw and threw the shot line. 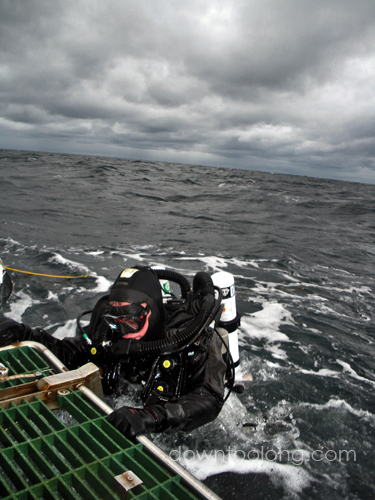 Bill Trent tied in and in short order divers began splashing in what appeared to be very clear surface water. 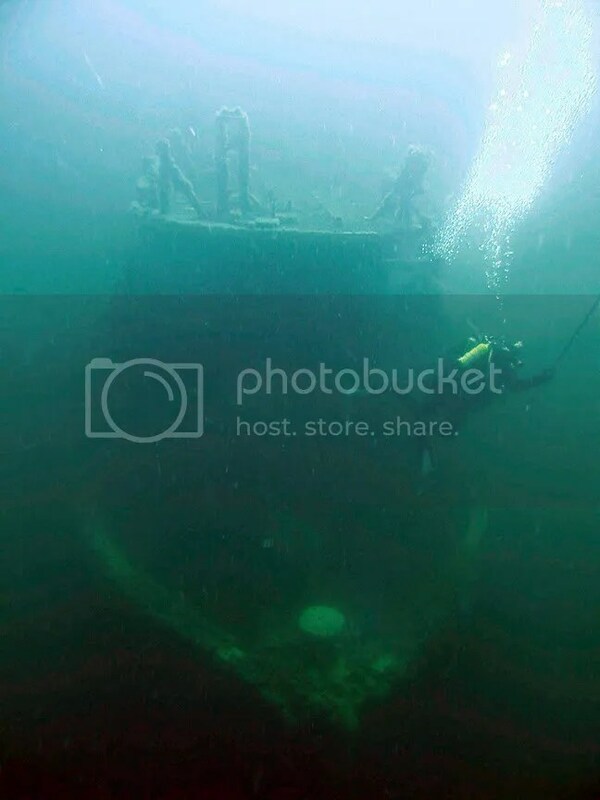 It turned out the clear blue water went all the way down to the top of the wreck at 100 feet. On the bottom the vis was still reasonable with about 10-15 feet and warm water (mid sixties). I splashed with Capt Dan and we didn’t even need the anchor line for the descent as you could see the wreck laid out below from 20 feet. 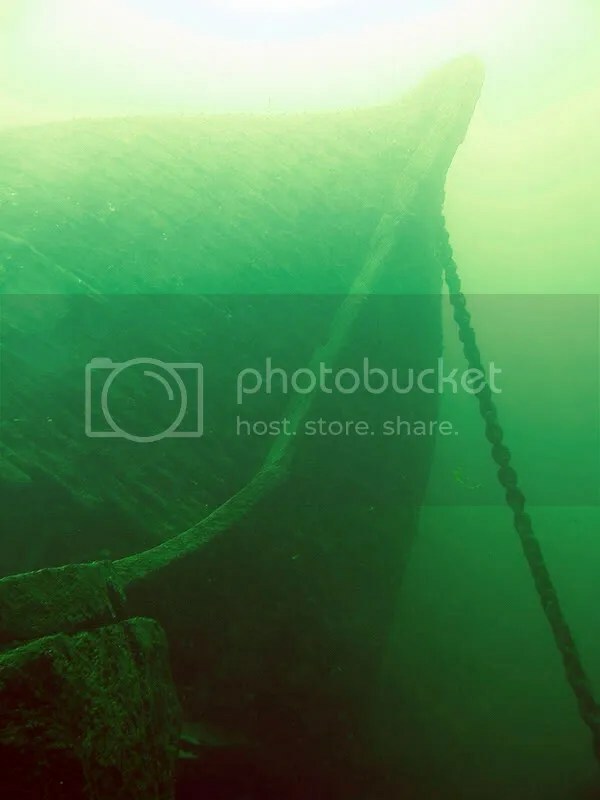 The wreck was a fairly good sized steel wreck, but with no evidence of machinery or means of propulsion, and a large towing bitt on the bow we determined this was likely a large steel barge. 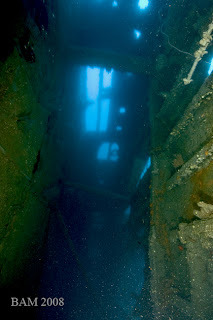 Fish of all types covered the wreck, including sea bass, cod, and several monster tog indicating that divers or fisherman must not hit this often. 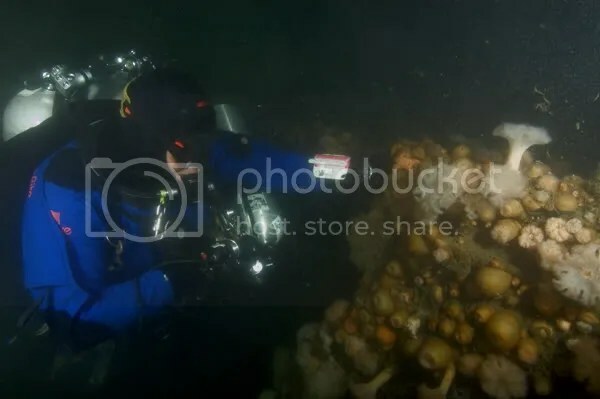 After touring the wreck we tied off a reel and headed out into the sand to fill a bag of scallops which were plentiful. I took a look up as I began my ascent and was pleasantly surprised to find that I could see the Independence almost 100 feet above. Sweet! Bags and bags of scallops came up along with a couple lobsters. All in all it was a nice little dive, and probably worth hitting once in a while to put dinner on the table. Today we gambled and won! Can’t wait for the next one!